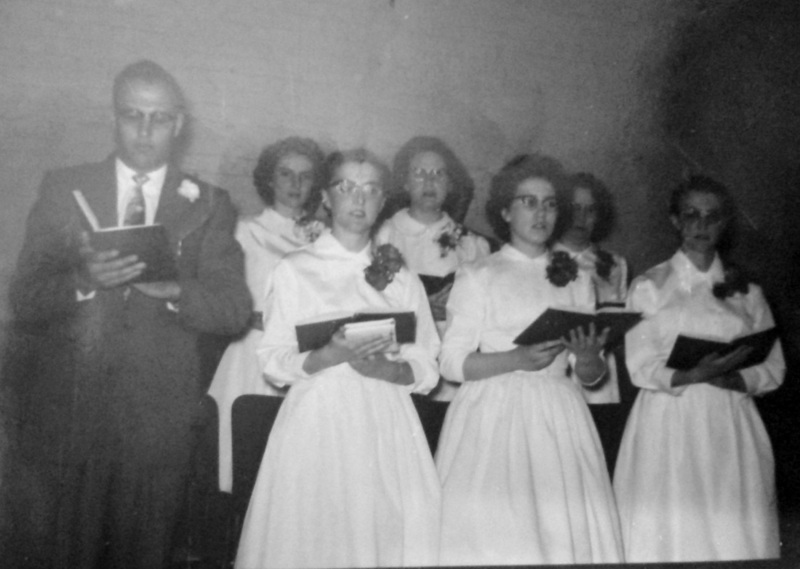 In October 1955, the vision of our elders to provide a place of Bible college training for ministry finally became a reality. The Dawson Club, a recreational facility built in 1925 by the Cotton Mill owner, Alexander “Boss” Gibson, was purchased. The property was situated along the beautiful Nashwaak River in the town of Marysville, New Brunswick. After months of renovations and planning, classes were ready to begin at the “United Pentecostal Bible Institute”. Under the leadership of the District Superintendent, the late Rev. Earl L. Jacques, our founder and Principal, the doors of the United Pentecostal Bible Institute opened to welcome the first class of eleven students. With a very active weekend ministry program, the college involved students in many areas of service, providing them with experience as well as theory. The Bible College would become a very valuable place of training for the United Pentecostal Church, providing gospel workers who would serve throughout the world. With much work and sacrifice, the dedicated staff began to project a vision and plant God’s word deep in the hearts of these students. They diligently taught us that we were ‘saved to serve’ and to ‘win the lost at any cost’. The motto was “The Whole Gospel to the Whole World”. 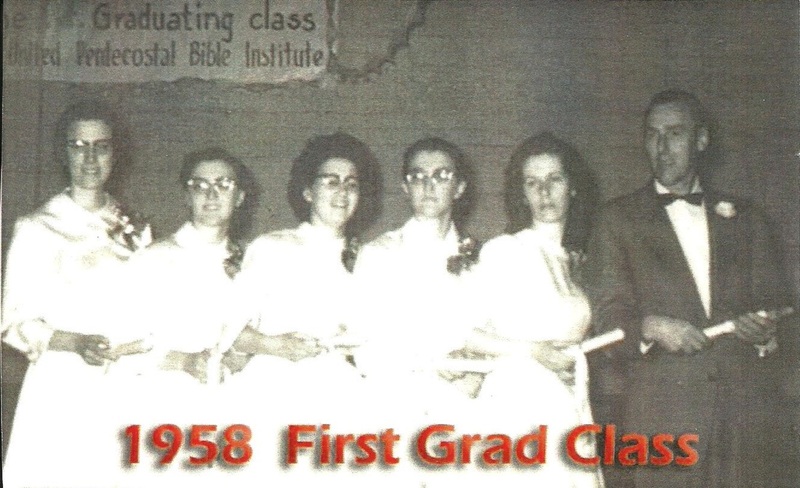 From this very first graduating class, the Lord sent forth labourers into His harvest field to serve throughout Canada, the United States and to Peru, South America. As the college enrollment increased, it soon became necessary to consider expansion. So in 1968, a new men’s dormitory was built and opened at 76 River Street. As a result, the original men’s quarters were now available to be used as a ladies residence. As the years passed and the student body continued to increase, classrooms were becoming uncomfortably crowded, offices were taken for living quarters and assembly in the main building was impossible. 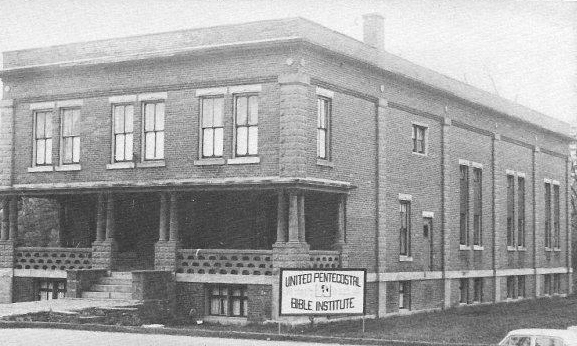 In 1993, due to necessary improvements required to upgrade our Main building, the United Pentecostal Bible Institute was closed for one year to seek direction for the future plan of the College. Under the leadership of the District Superintendent Rev. Harry Lewis, the building at 17 McGloin Street went through a half-million dollar total renovation to give us a complete new layout. In the fall of October 1994, we re-opened for classes under our new name, “Northeast Christian College”. The new facilities served well for a few years, but we soon realized that they were still not adequate to house the students, cafeteria, classrooms and offices required to operate adequately. As a result, the classrooms were renovated to provide additional men’s residence. The college found classroom space off campus, at Capital Community Church in Marysville and later at the Marysville Heritage Center. However, we desired to have our own campus. After much prayer and consideration, a dream was presented for a new campus and a beautiful property was obtained at 128 River Street in Marysville. After many hours of drawing, the design and plans for a new structure were presented and the decision was made to build. On June 6, 2007, during the Canadian Conference of the United Pentecostal Church International, held in Fredericton, we celebrated the sod-turning ceremony for the new building. The foundation was poured and after several months of labour, the building was finally completed and ready for classes to commence. The overview design of the new two story building is in the shape of the cross. The Administrative offices, Jacques Memorial Chapel, Post Memorial Library, District offices and Board room are on the upper level. The Music Department, various Classrooms, Student Lounge and District Heritage Room are on the lower level. Plans for further development of the new campus include a new Ladies Residence, Men’s Residence, and a Cafeteria / Multi-purpose building. We give honour to the many dedicated leaders who have served at the United Pentecostal Bible Institute / Northeast Christian College. From our founder, the late Bro. Jacques to the present staff, many have sacrificed to see that God’s Word and Spirit have guided us throughout the years. As the vision is cast by the staff of Northeast Christian College, many more workers, ministers and missionaries will be prepared for the important task of reaching our world with this glorious Gospel until Jesus returns.